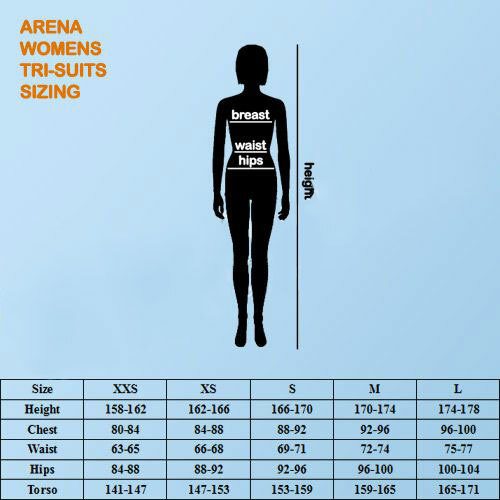 The Arena SAMS Carbon women's wetsuit is a great choice for those swimming in warm tropical waters. The SAMS Carbon wetsuit was developed in partnership with the University of Western Australia’s Oceans Institute and School of Animal Biology, with the aim of reducing the risk of shark attacks. SAMS stands for Shark Attack Mitigation System . The design of this wetsuit is based on research into shark vision, neurology and behaviour, which amongst other things analyses what they can see at certain depths and distances under different light and water conditions. By playing with the colour/contrast and size/shape of the suit’s design, the aim is to put off the shark by making the swimmer appear less desirable (or even dangerous) to attack as possible food. The wetsuit also uses carbon technology with all the benefits of the carbon cage, including greater core stability and crucial support when and where it’s needed at specific points on the body. Core stability is also taken a step further with the help of the suit’s buoyancy, which is evenly-distributed across key areas of the suit – it helps keep the swimmer’s body position level in the water. Reverse zipper for quick exit during transition phase.